Apple’s popular home music production suite GarageBand has been iOS-friendly on the iPad for a while now, and thanks to last month’s update iPhone and iPod Touch users can finally jam along too. This article is for anyone who has never used GarageBand before, and is not sure what to expect. It’s also for anyone still considering whether the app is worth the token $5 Apple are asking (hint: it is). Here are 5 reasons to drop $5 on a 5/5 piece of software. 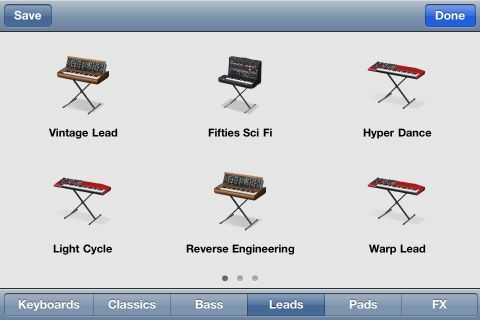 GarageBand for iOS transforms your device, be it an iPad, iPhone or iPod Touch into a completely mobile music workstation. Not only do you have access to a selection of beautiful-sounding instruments (more on those later) but also a sequencer for constructing loops and full tracks. Once you’ve recorded a section you’re happy with, hitting the sequencer button (always in the top left) will automatically place your newly recorded sample in the timeline. From here you can trim, squeeze, loop and move your recording around with ease thanks to the responsive touch interface. The sequencer, workflow and control scheme are effortlessly simple to work with. You might find yourself leaving for work at 8am and by the time you’ve got into the office you’ll have half a masterpiece composed (provided you’re not driving, of course). Whether you’re completely new to the world of creating music or you’ve written a few symphonies in your spare time, GarageBand allows you to decide the amount of effort you’d like to put in. This means you can use “Smart” instruments to simplify pattern creation, or you can keep it real and manually record all of your sounds. This is testament to GarageBand’s broad appeal; not requiring any prior experience to jump right in. Give it to your 9 year old daughter and she’ll keep playing till the battery’s dead. Let your dad have a go and he’ll probably want an iPad – you get the picture. The sequencer splits your track into sections, and this is by far the easiest way of working. You can specify advanced options such beats per minute (BPM), timing (e.g. 4/4) and whether you want the metronome and countdown on or off (something that iMaschine could do with). GarageBand puts a lot of instruments at your disposal and they are: a basic keyboard, basic drums, an audio recorder for capturing sounds from your device’s microphone (or an external source if you have the cables and setup), smart drums, smart keyboard, smart guitar, smart bass and a sampler. The standard keyboard is by far the most dynamic of all instruments, and once selected you can choose from classic sounds like the grand piano to fuzzy bass synthesizers and wailing 50’s sci-fi tones. It’s a lot of fun – especially in “pitch” mode. The smart instruments are there to give you a leg-up and simplify the process. Smart drums invites you to arrange different elements, such as cymbals and snares, onto a grid which then generates a beat. Move the icons around to change the beat, repeat until happy. 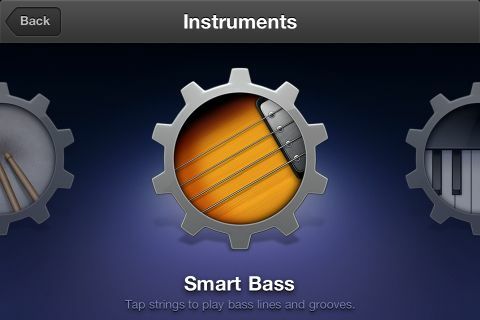 Similarly smart bass, smart guitar and smart keyboard make it easier to create grooves and play chords. The sampler is another interesting bit of kit. It allows you to record a sound, trim and edit before playing it back using the keyboard for a higher or lower pitch. Apple Loops can be added directly from the sequencer and include a few hundred loops, melodies and vocal samples to keep you happy for a while, and you can always add your own via File Sharing in iTunes. One “instrument” I didn’t mention in the previous section is the guitar amp. This allows you to plug your guitar into your device and try out a selection of classic amps. Of course, you can record sections and drop them straight into your timeline with ease. To connect a guitar you’ll need the Griffin GuitarConnect cable, which costs around $30 and works with a lot of other apps (it also allows you to connect a keyboard or bass guitar). 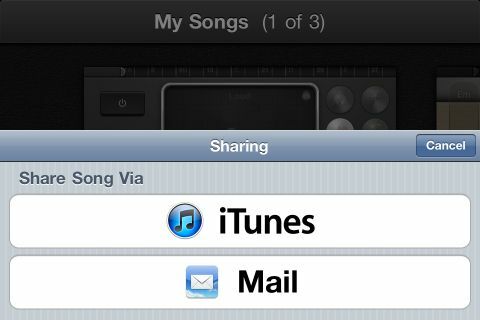 Once you’ve created a song it’s easy to share via email or iTunes, plus you can even export in GarageBand format and continue your masterpiece on your Mac computer at home. And now onto the real reason why GarageBand is worth $5 – the possibilities for creating music are literally endless. Whether you’re after a workstation to create whole songs using external samples and a guitar, a live performer who can make use of one of the many sounds and instruments or a newbie to the music creation scene then GarageBand will fit the bill. The range of included sounds are broad enough to tackle nearly any genre of music and that means you’re only limited by your imagination. 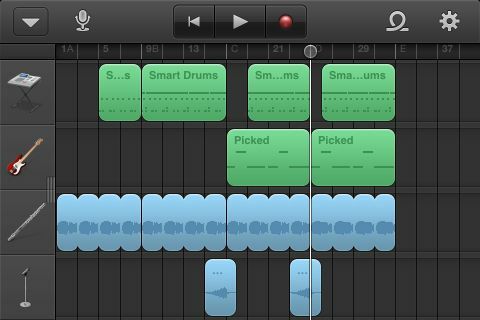 If there’s one thing GarageBand ensures it’s that you’re not limited by your ability, and that’s what makes it so fun. 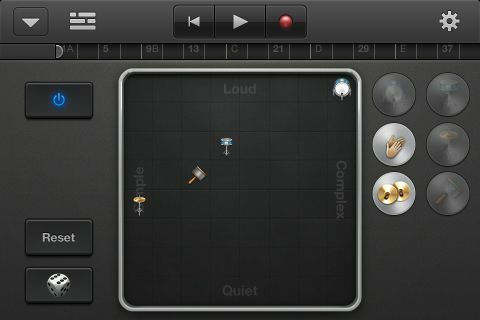 So is this app really a serious contender in the music making world? Well, yes and no. There are plenty of reasons a mobile music workstation would appeal to a budding musician, and GarageBand will satisfy many for this reason. Don’t expect a thousand dollar studio production suite, but prepare for a pleasant surprise. Add the fact that the app hasn’t crashed once in the 10+ hours I have used it, I’d probably still be smiling had I paid $20. Buy it. 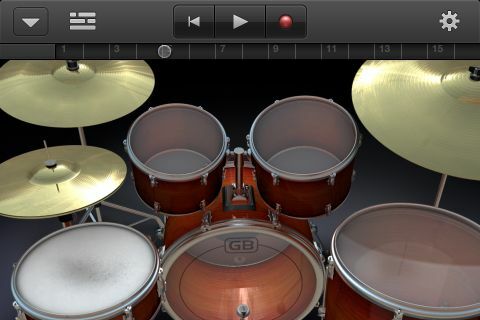 Have you bought GarageBand for iOS? Have you made any music on your iDevice? Share your thoughts and musical masterpieces in the comments below!